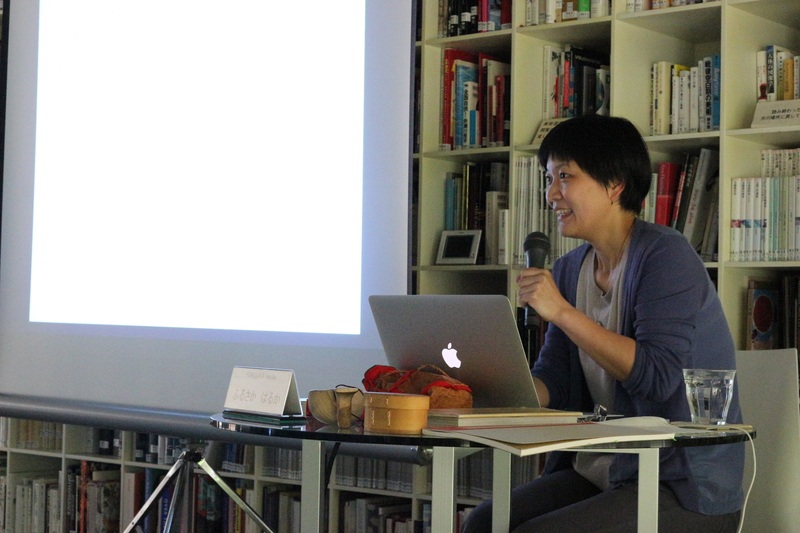 She talked about what she thought and tried to construct the exhibition, about Sami people, their life and the crafts, and about the research in Aomori. 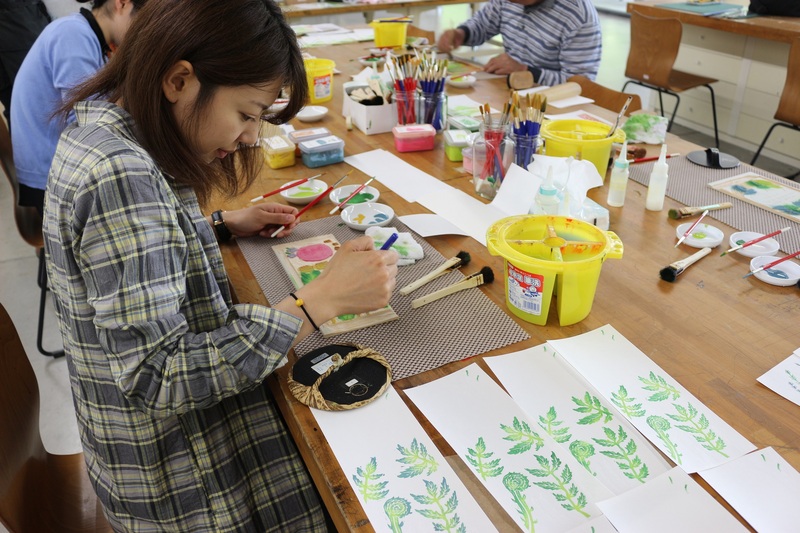 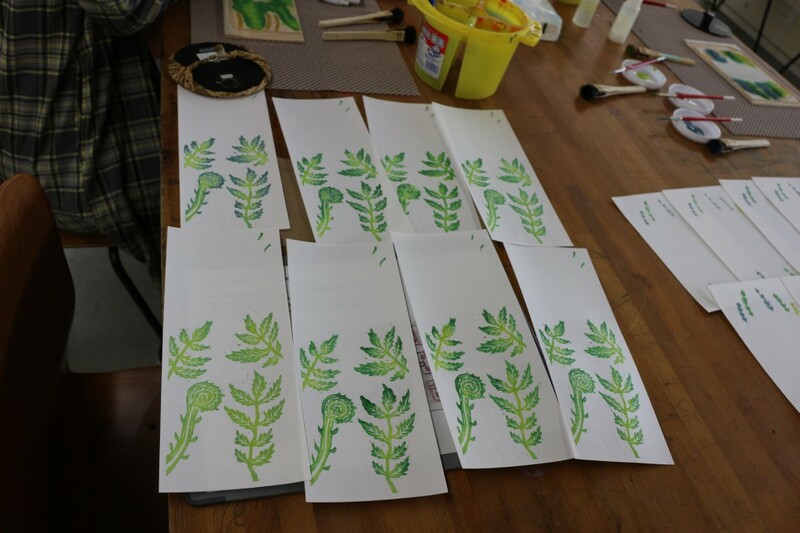 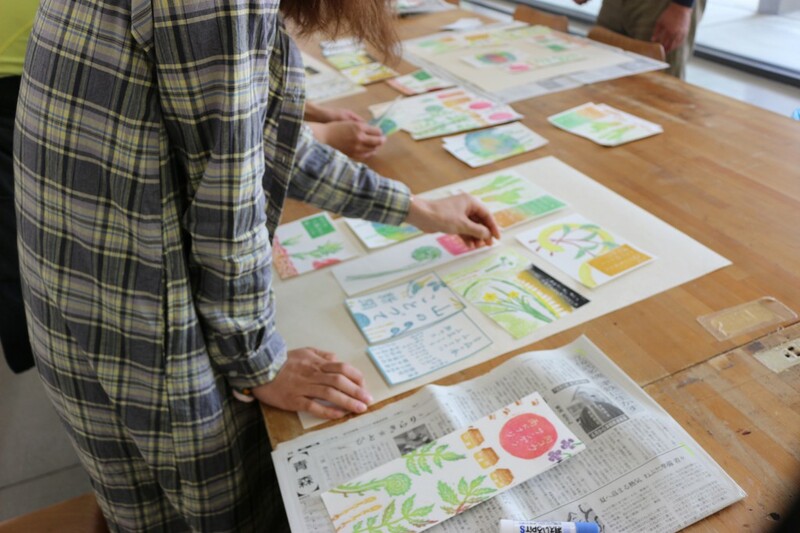 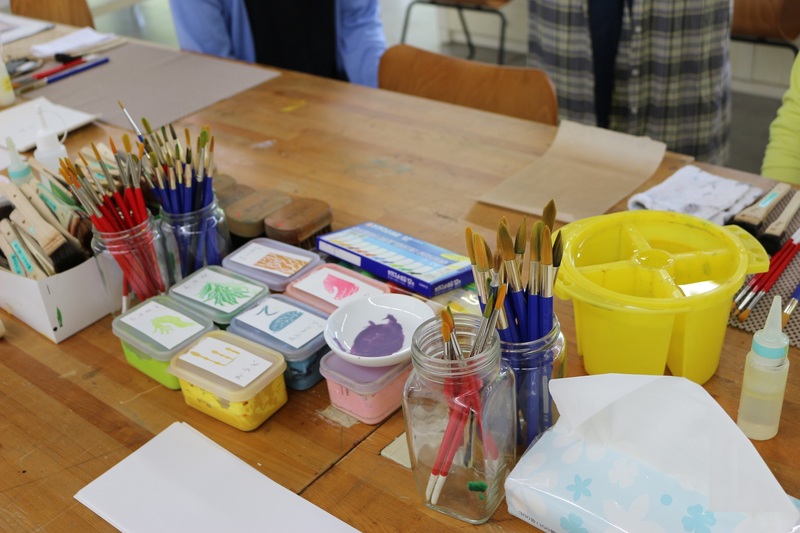 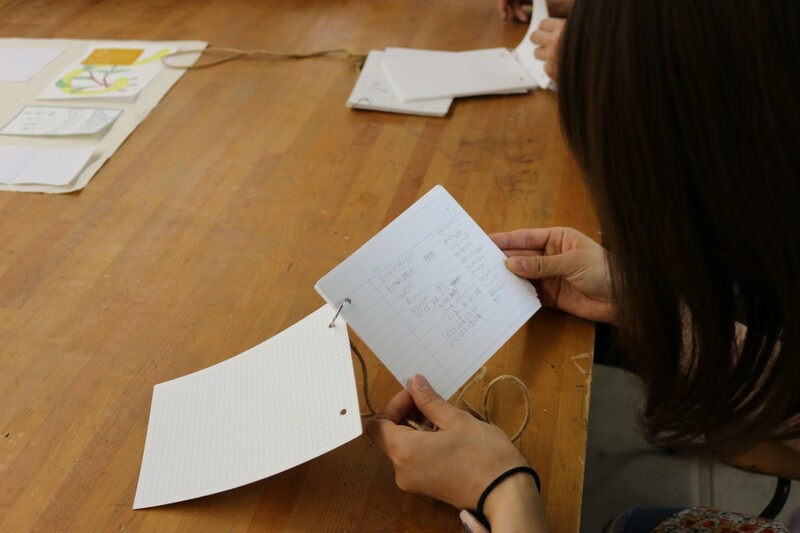 Furusaka haruka’s 2nd and 3rd workshop was held on 20, 21 May. 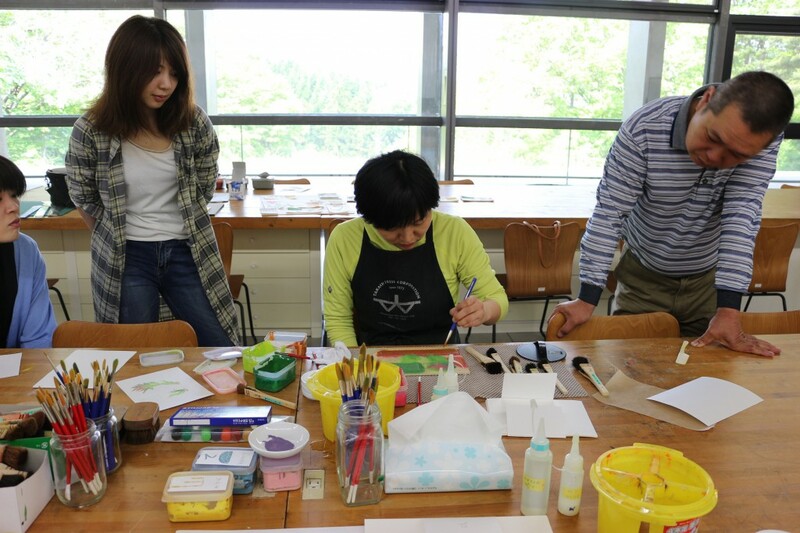 This workshop is held in 3 days total and 1st day was held in 3rd May. 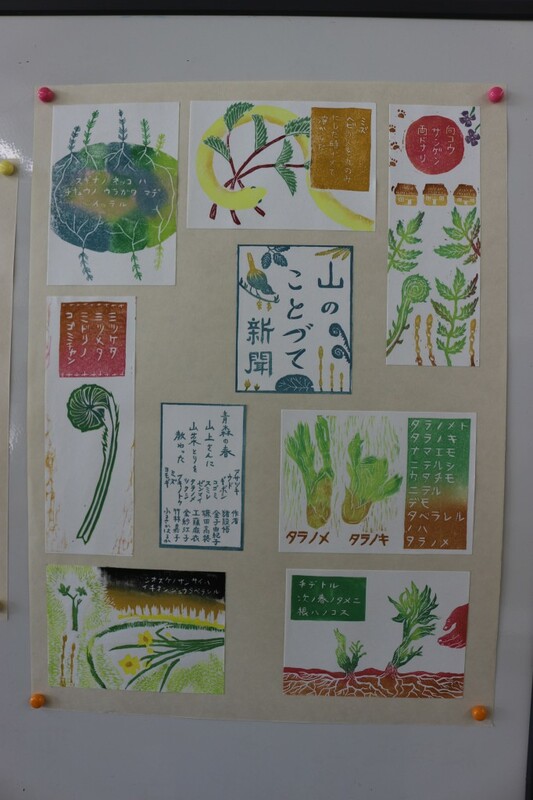 The participants went to the mountain with the special guide Mr. Yamagami on the first day, also took the edible wild plants. 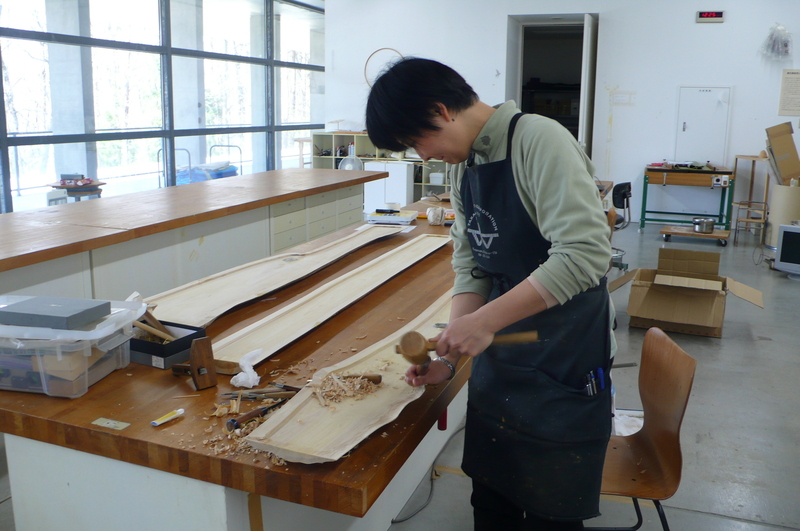 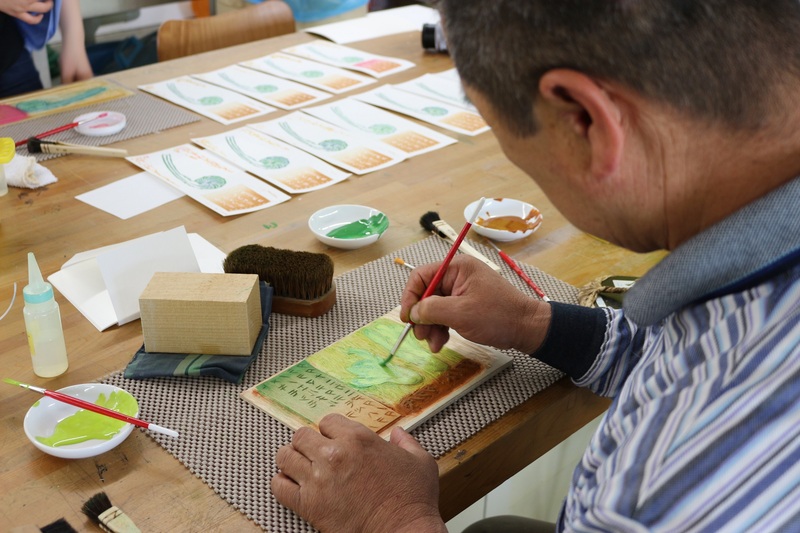 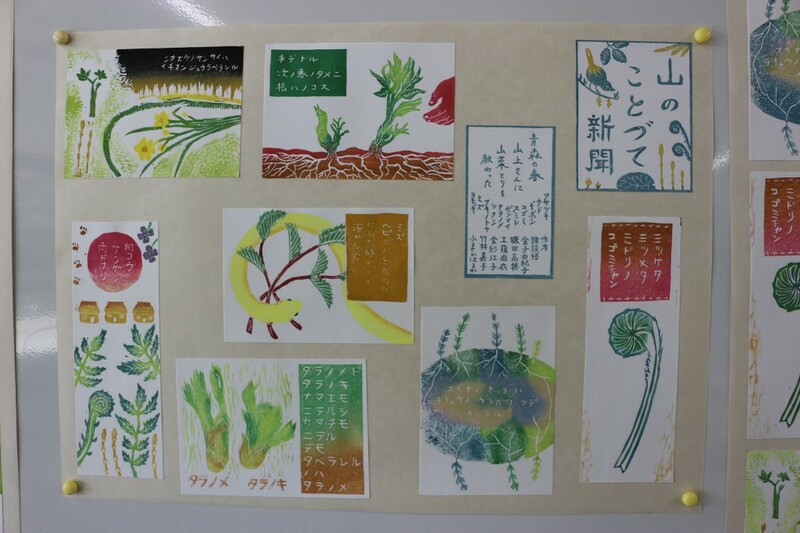 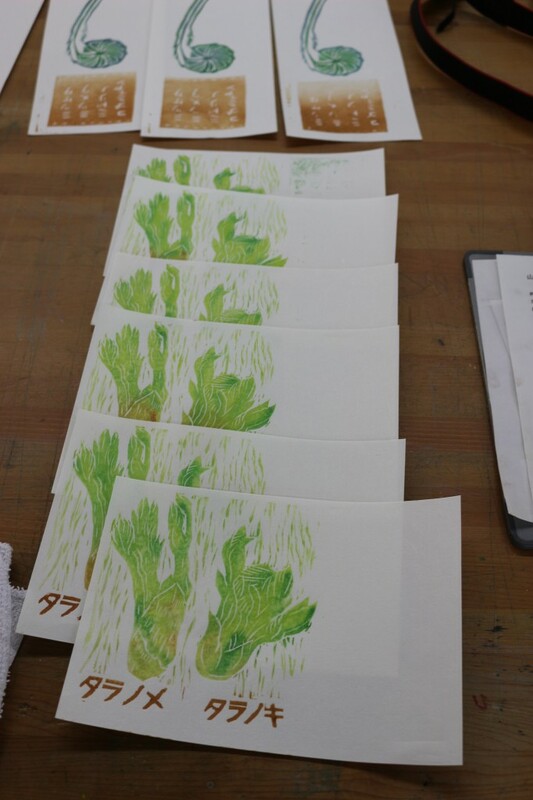 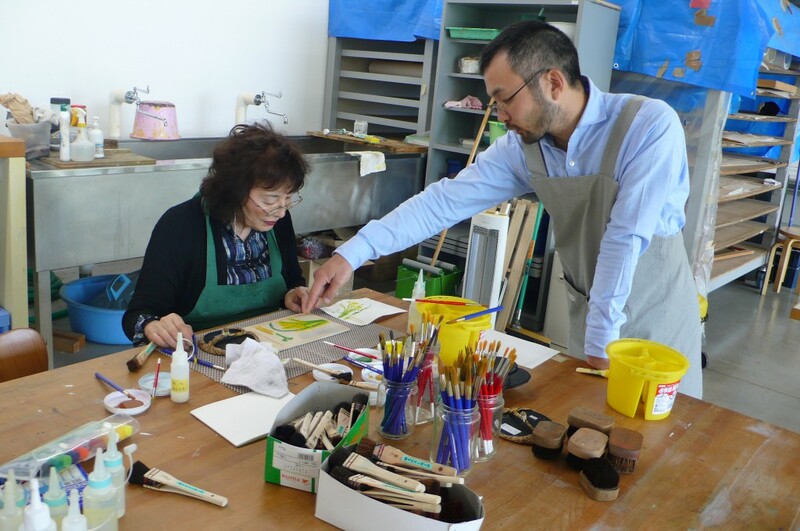 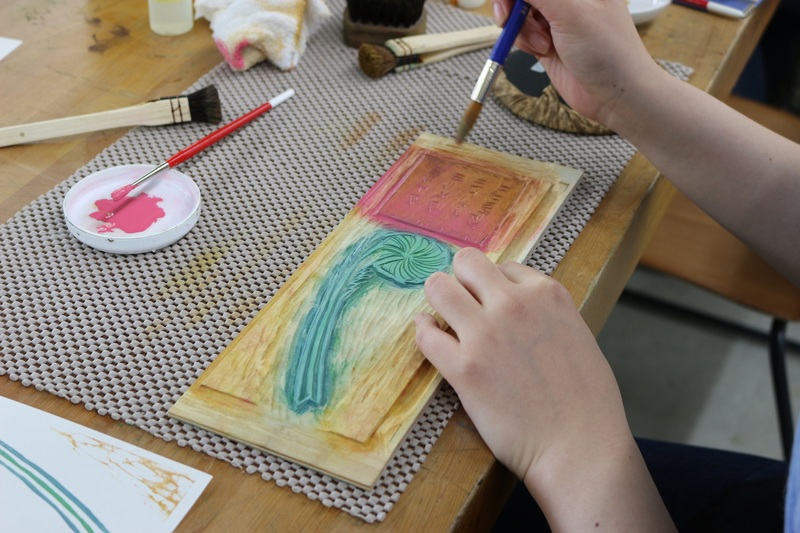 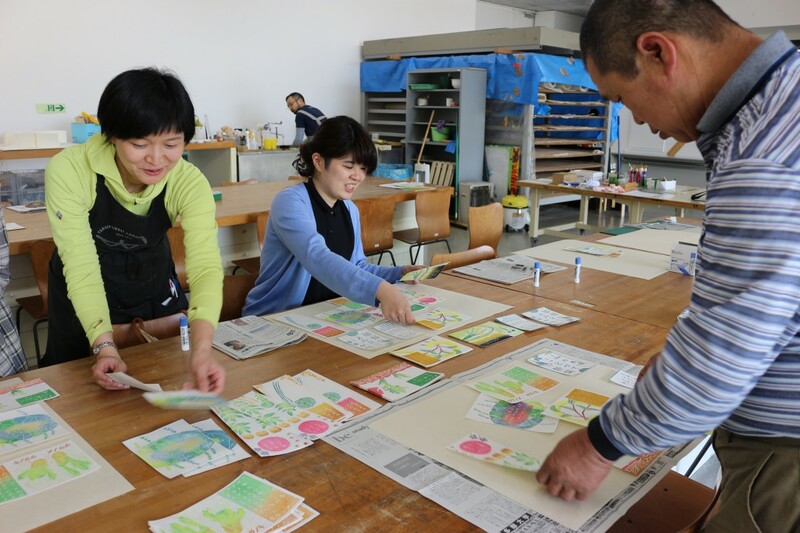 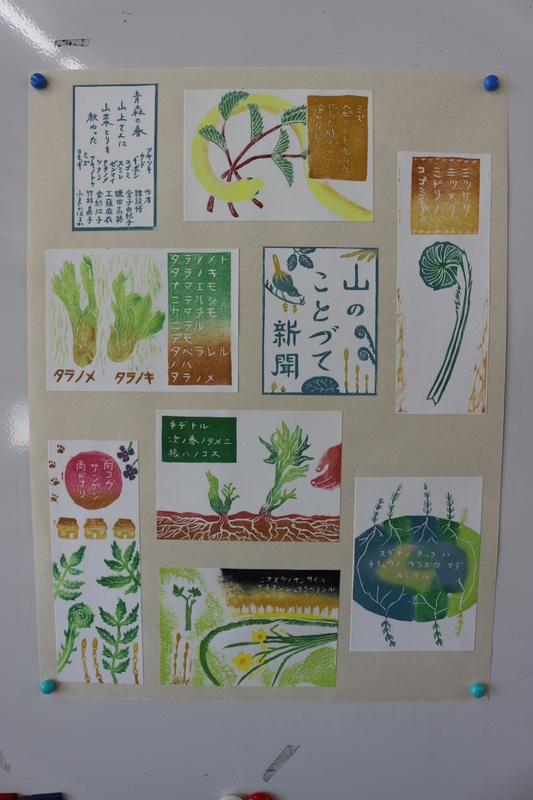 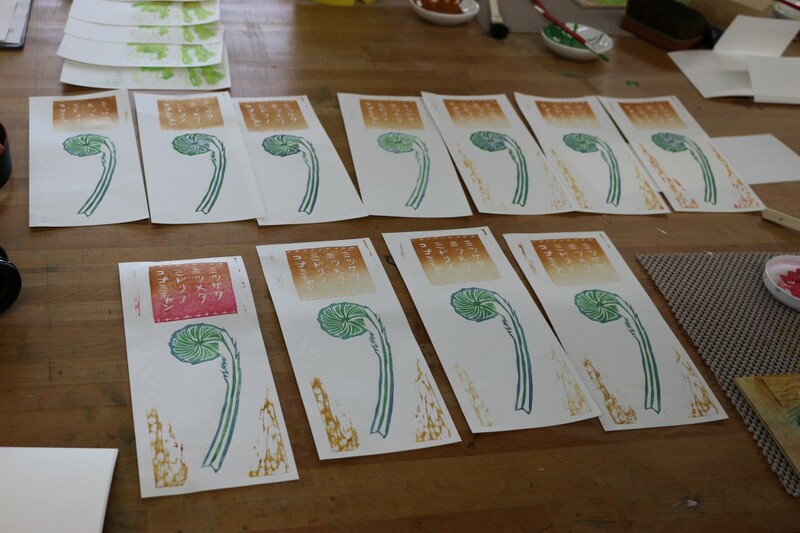 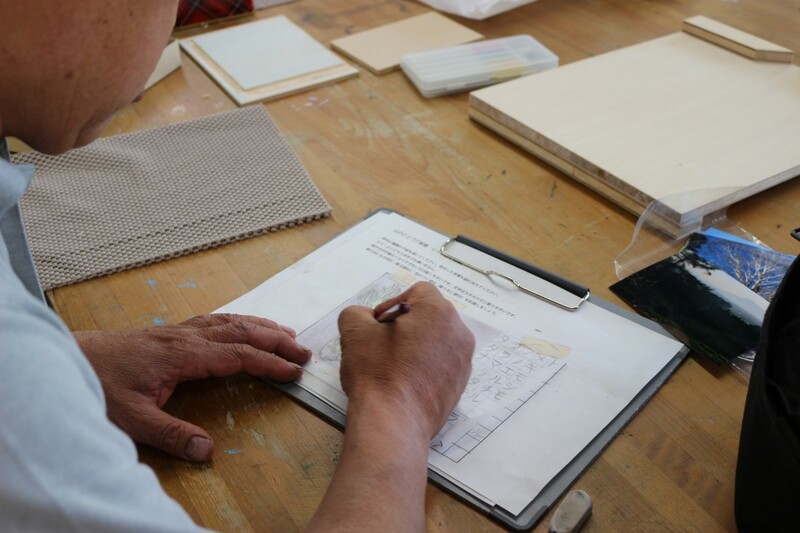 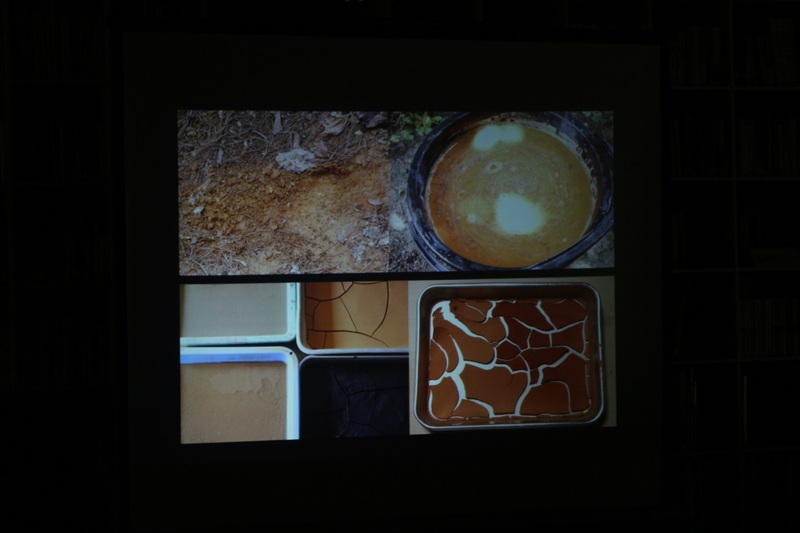 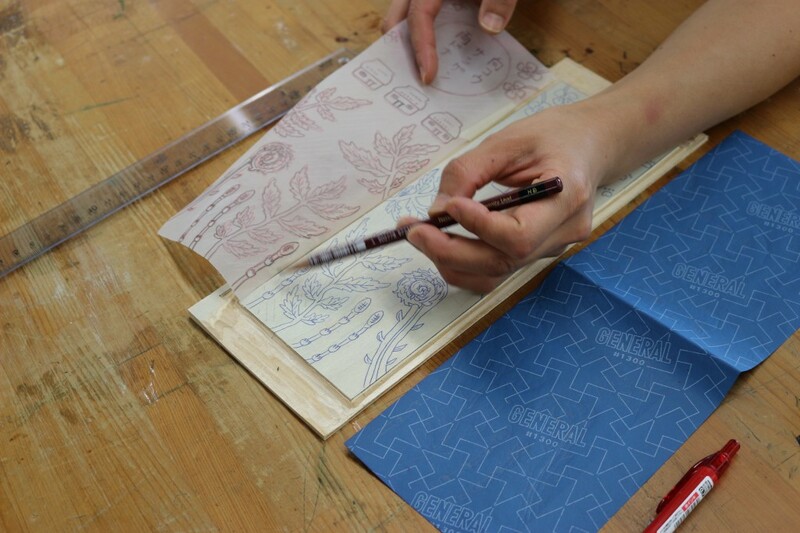 From the experience of the first day and the interview of Mr.Yamagami, the participants woodblock on 2nd and 3rd day. 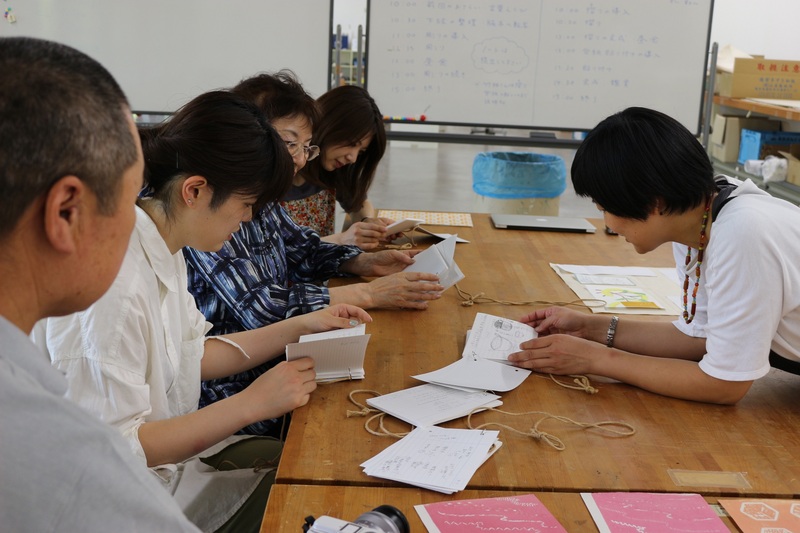 First, they discussded about what they hear from Mr. Yamagami. 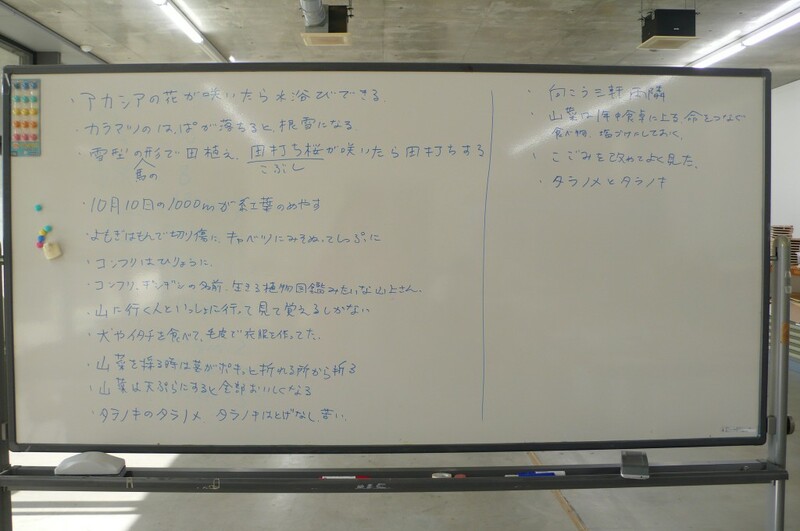 Write down the words on the board. 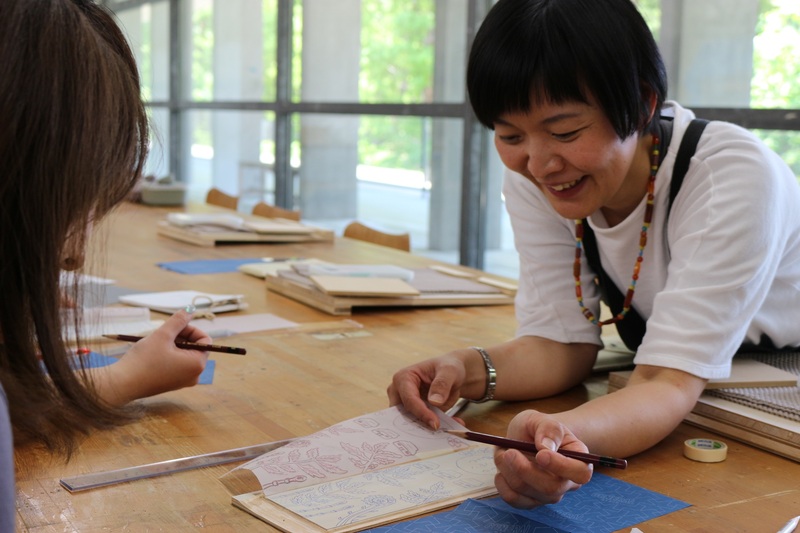 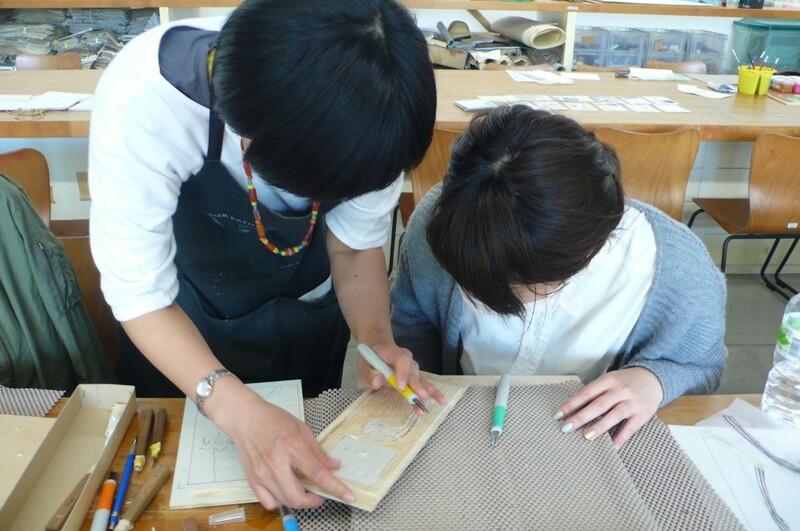 The woodblock is composed with the words and the picture, then they will become a newspaper. 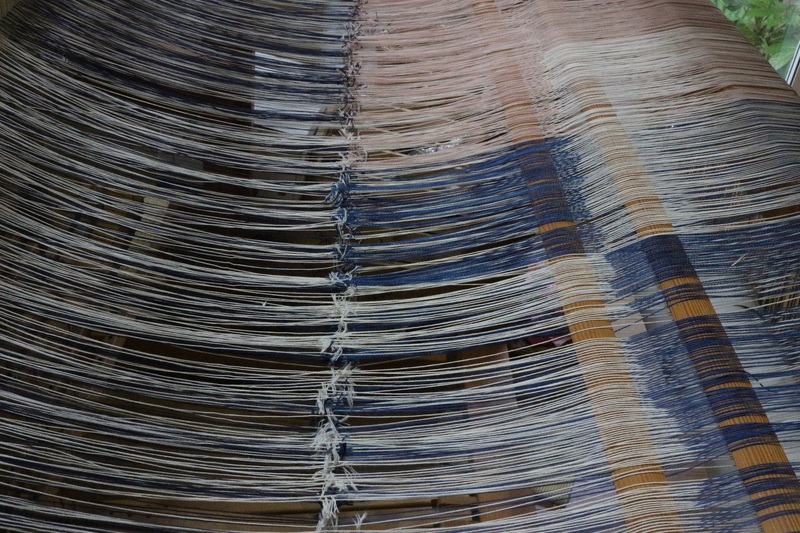 The participants curved on the 2nd day. 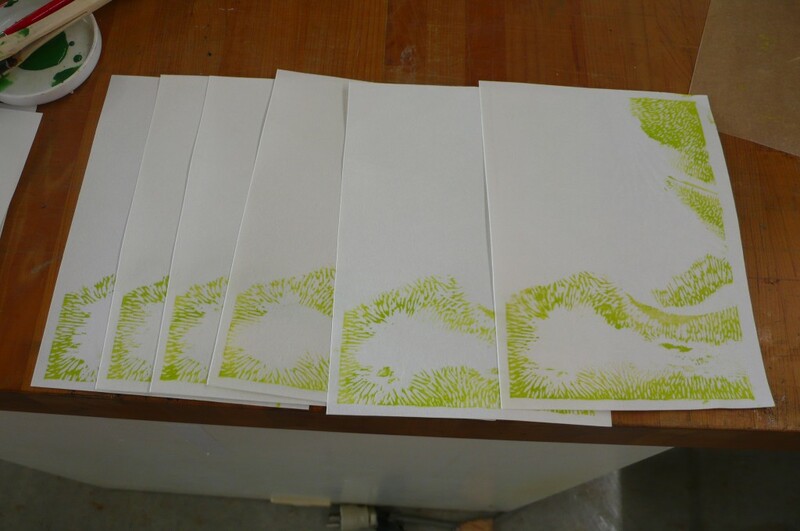 Then, printed on the 3rd day with some colors. 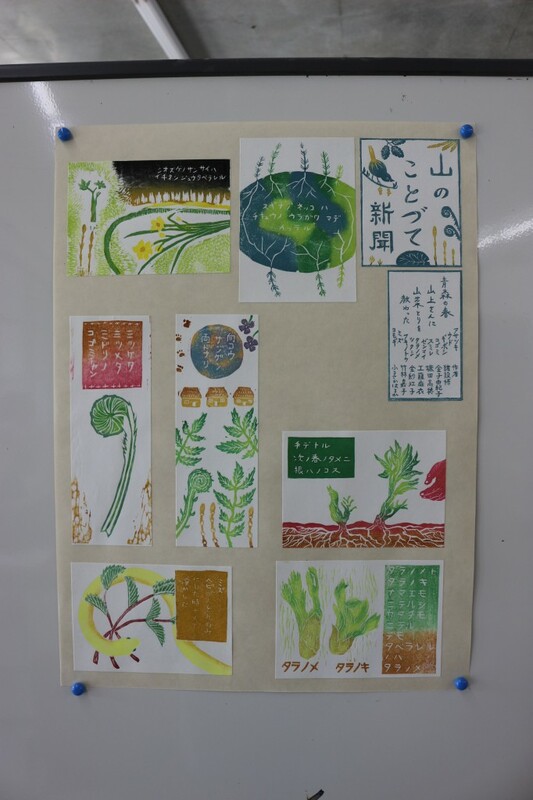 After printing, paste on the big paper and made them newspaper. 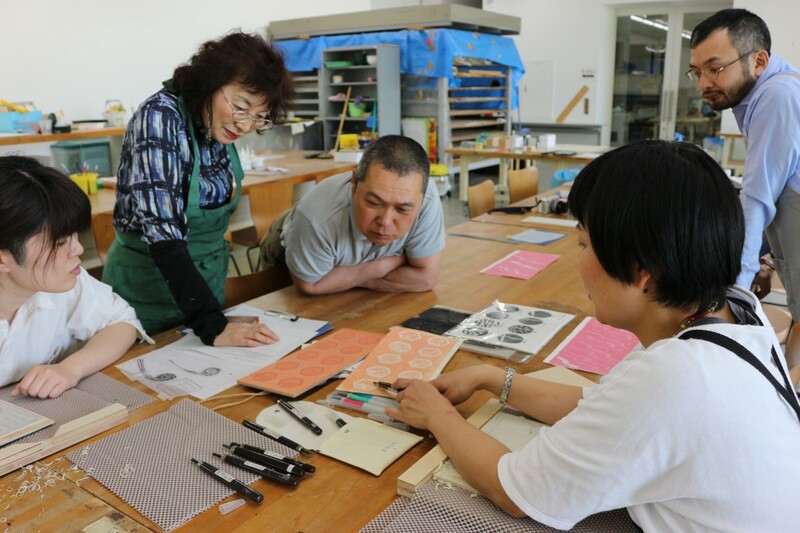 You can see one newspaper at ACAC’s lounge. 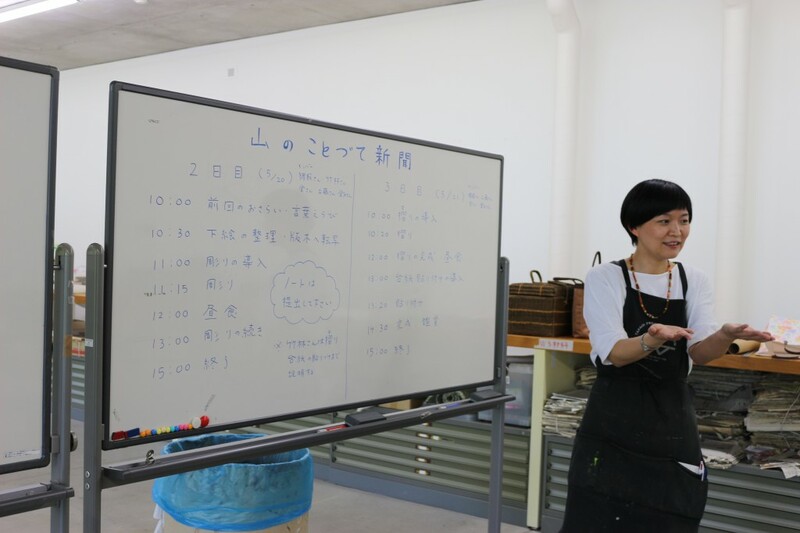 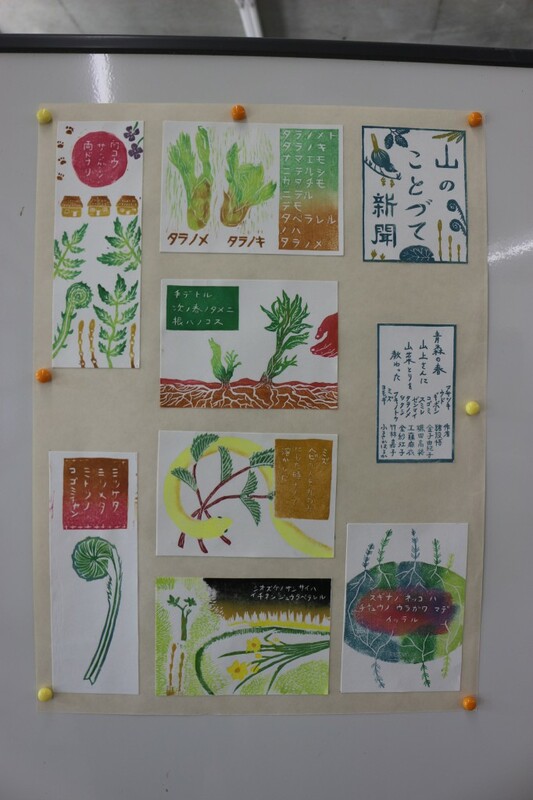 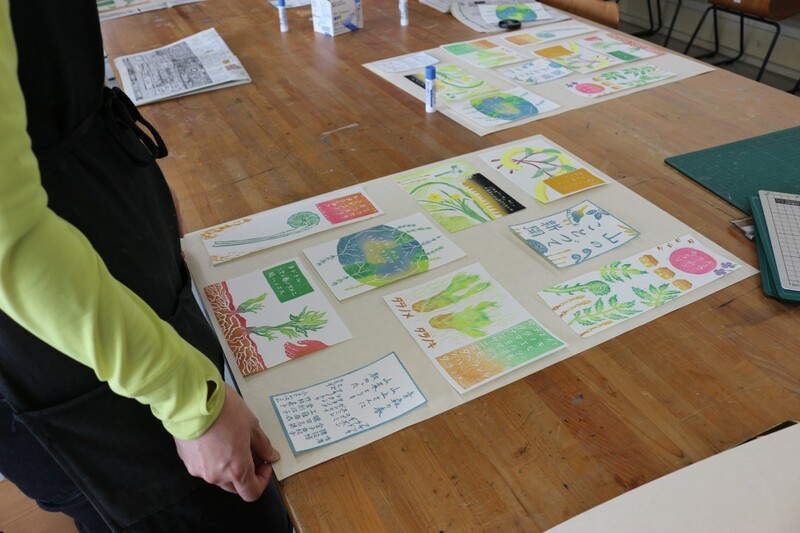 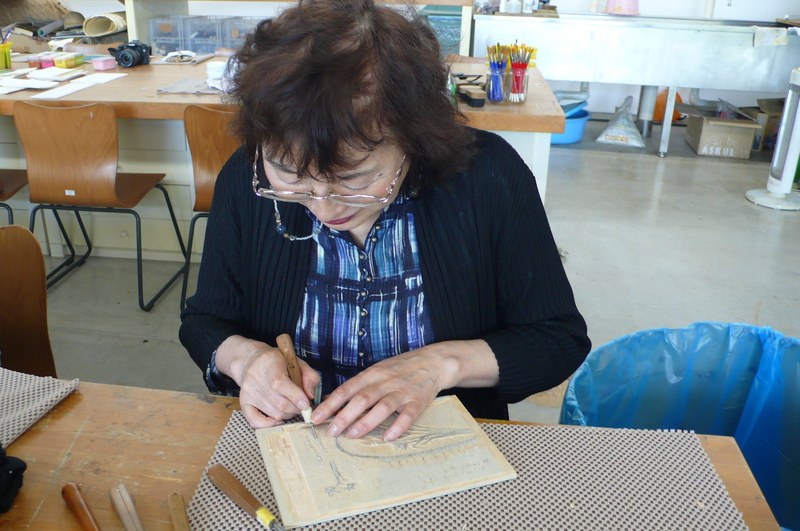 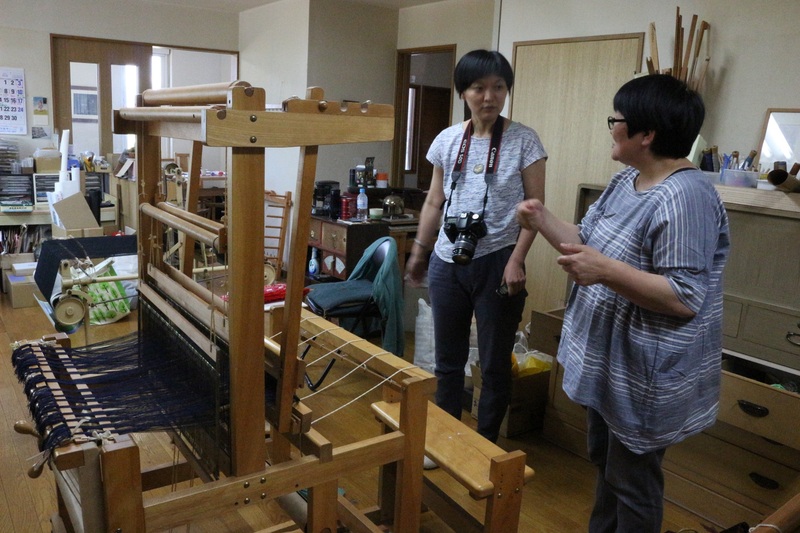 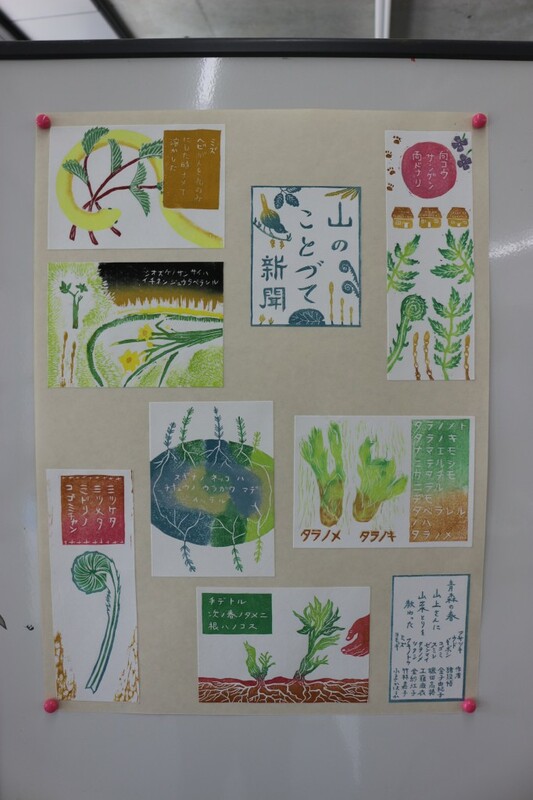 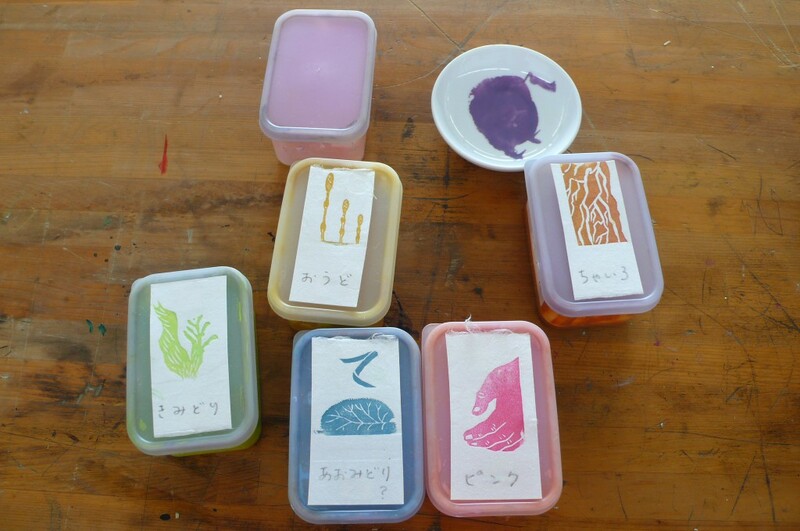 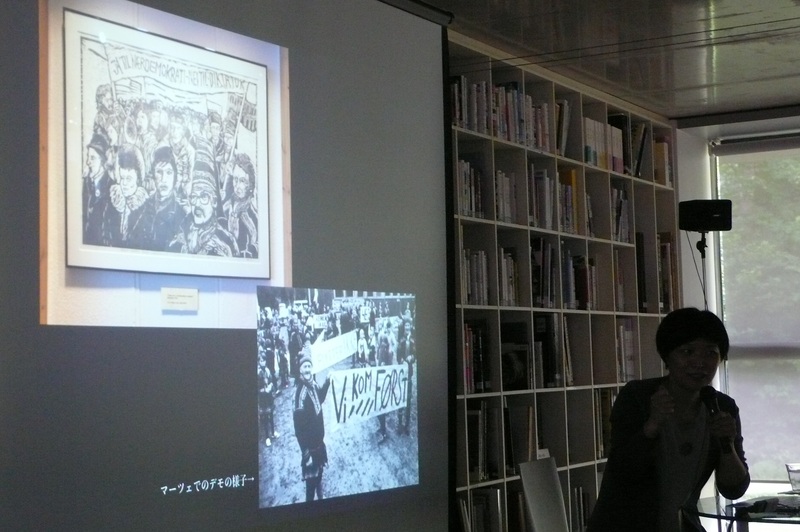 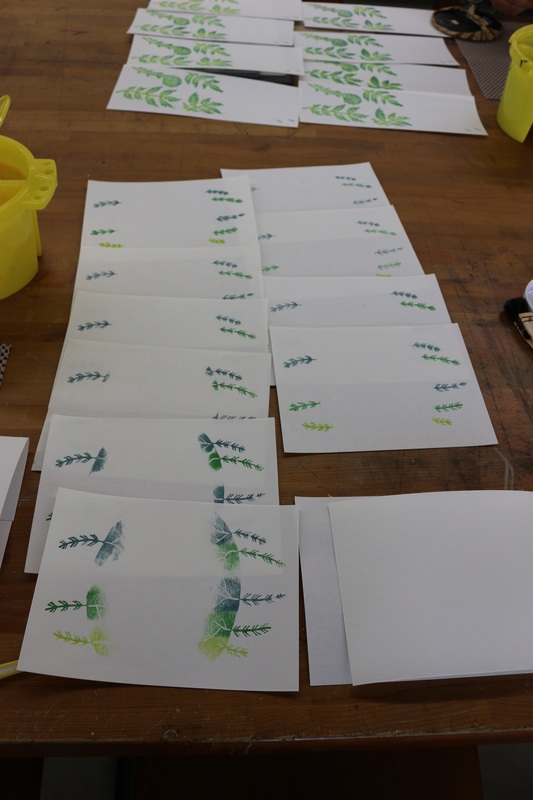 FURUSAKA Haruka started the residency and to prepare for Aomori City Archives Exhibition with FURUSAKA Haruka “Lore of the Land” (Apr 29 – June 18). 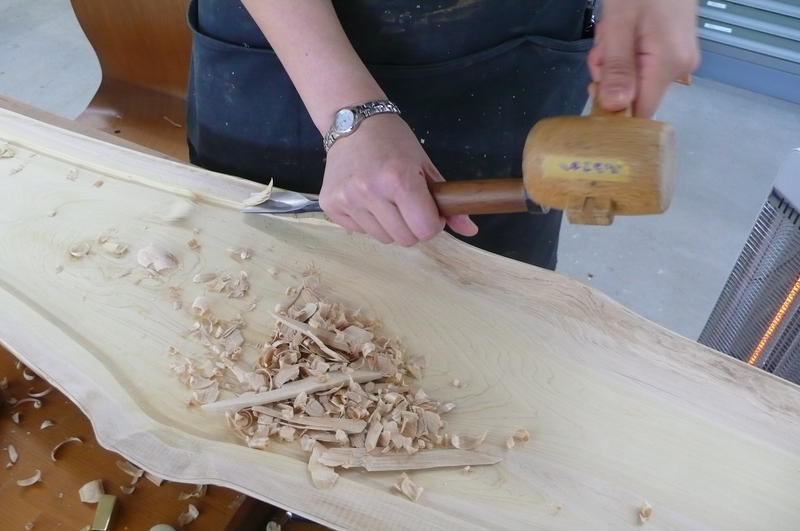 She is curving the wood with nice wood smell in the studio today.